Most DIYers can easily tackle replacing a standard single-pole switch. However, things get a little more complex when you need to add a 4-way circuit. The 4-way circuit is used when you want to control the light or lights from three or more locations. 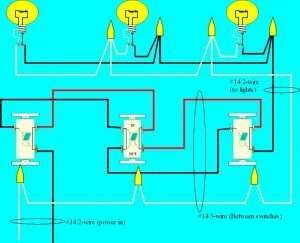 This article and detailed wiring diagram outlines the steps to wiring a 4-way switch. When Do You Need a 4-Way Switch? 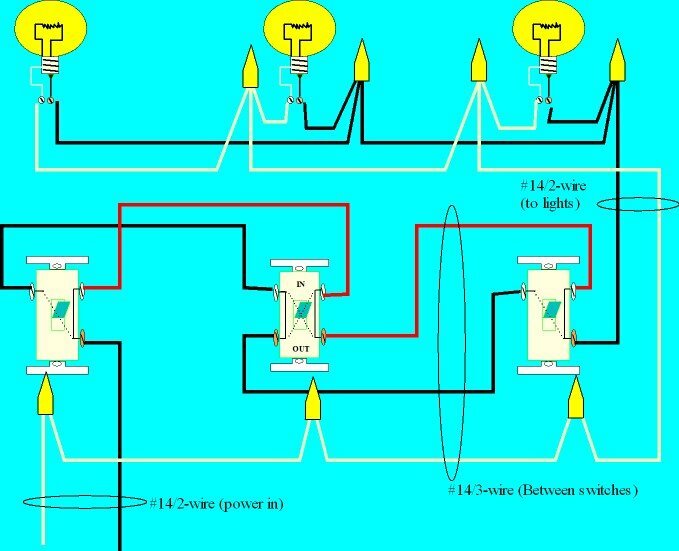 If you understand the logic behind the 3-way circuit, the 4-way will not seem that difficult. The 4-way is used when you want to control the light or lights from two or more locations. 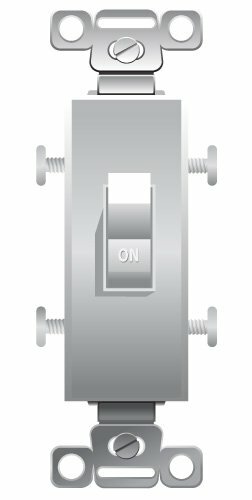 4-Way Switch – NOT To Be Confused With a 2-Pole Switch! A 4-way switch has four terminals (do not confuse with and purchase a 2-pole switch by mistake). The 4-way terminals are labeled “In” and “Out” (two of each). The mechanics of this switch are simple, in that they either switch the travellers straight through, or criss-cross them. To add more than three locations for one set of lights, you would just insert more 4-way switches in between the two 3-ways. The following diagram illustrates the easiest way to connect a 4-way circuit. NOTE: The picture is a thumbnail – click on it to enlarge it. 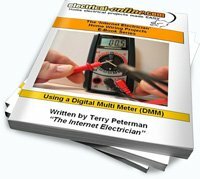 Are there still questions that you need answered about wiring a 4-way switch? Feel free to ask your question below or check out my Facebook page and ask there. 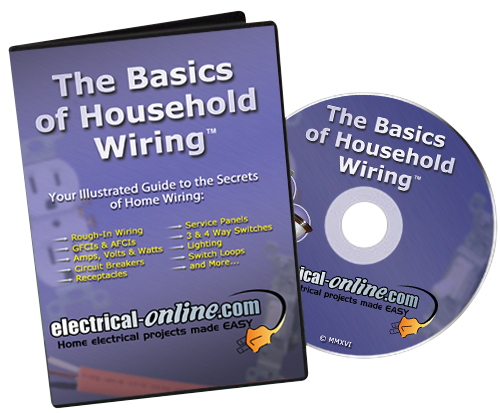 You can also subscribe to my YouTube Channel and check out the many free videos covering a number of different DIY wiring topics, including many instructing you on different wiring configurations including 3 and 4-way switches. Do You Have the DIY Skills to Wire That 4-Way Switch? While wiring a 4-way switch is a little more complex that wiring a standard switch, it is something most DIYers are capable of doing. 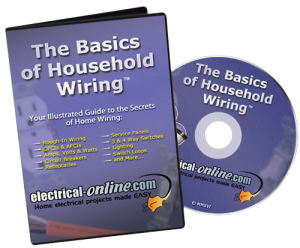 However, if you’re not sure that your understanding of working around electricity and DIY skills have prepared you for wiring that 4-way switch or any other home wiring project, here’s a great resource to bring your skill levels up to speed. This entry was posted in Indoor Wiring, Indoor Wiring Diagrams and tagged 4-way, 4-way switch, 4way, switch, switching circuits, terminals, wiring. Bookmark the permalink.